This essay provides an overview of the main elements of the Canadian regulatory process for biopharmaceuticals, including recent changes. It describes the role of the Patented Medicine Prices Review Board (PMPRB), the Board’s Regulatory Process—including the Scientific Review Process and the Price Review Process—the proposed Amendments to the Regulations, and their potential consequences. At the federal level, Canada regulates the prices of all patented medicines to ensure that the prices of patented drugs are not “excessive.” This extends to every patented drug, whether covered on an insurer’s formulary or not. It is important to recognize the scope of this regulation: the prices of off-patent drugs are not regulated, and the regulations do not grant jurisdiction to regulate the prices of patented medicines throughout the distribution chain (from wholesaler to pharmacy to patient). In May of 2017, Health Canada proposed an update to several aspects of the PMPRB regulations governing patented medicines. The proposed amendments included five important changes to the regulations: economics-based price regulation factors, an update of the reference country basket set used for international price comparisons, establishment of a complaints-based system of oversight for patented generic products, the pricing information required of patentees, and requirements for the provision of rebate and discount information on domestic prices. The proposed changes raise some concerns. Specifically, PMPRB currently compares Canada’s patented drug prices with those found in seven other countries: France, Germany, Italy, Sweden, Switzerland, the United Kingdom, and the United States. Under the proposed changes, the reference countries would no longer include the United States or Switzerland, and would instead add seven other countries: Australia, Belgium, Japan, Netherlands, Norway, South Korea and Spain. The new reference country basket will significantly impact both the highest international price and the median international price comparison metrics. Fundamentally, the change will lower the maximum allowable price, requiring pharmaceutical innovators to lower their prices in Canada in order to be in compliance. In addition, the proposed changes would incorporate new factors in the determination of whether a medicine is being or has been sold at an “excessive” price. With this change, the PMPRB will assess the “value” of new drugs by reviewing cost-effectiveness analyses submitted to the Canadian Agency for Drugs and Technologies in Health (CADTH). Drugs above the threshold risk not being insured. Crucially, PMPRB’s threshold is not specified in the proposed regulation amendments. The Regulations would also be amended to require patentees to report to the PMPRB all indirect price reductions, promotions, rebates, discounts, refunds, free goods, free services, gifts, or any other benefit in Canada. This change runs the risk of increasing costs to public drug plans rather than reducing them. The proposed amendment would require biopharmaceutical manufacturers to report all confidential rebates and discounts provided to governments under their listing agreements. The PMPRB would then use this information to calculate “actual prices” in order to set a lower maximum price for new drugs. Notably, that new lower price will apply to all markets, essentially eliminating all incentives for manufacturers to offer such rebates. 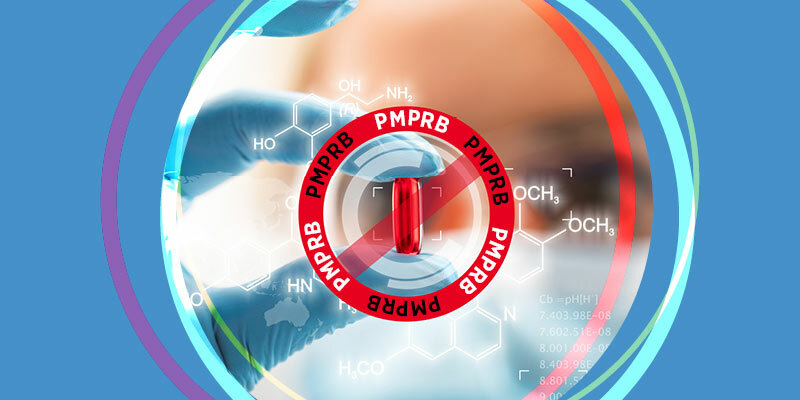 Fundamentally, the proposed changes alter the role and responsibilities of the PMPRB, transforming how it operates as a national price control regulator for patented medicines. The outcome is likely a significant change in how the PMPRB carries out its dual mandate to safeguard against the potential for excessive pricing and report on pharmaceutical trends and R&D spending. Importantly, the new and expanded role of the PMPRB will negatively impact patients’ access to medicines as well as the viability of the Canadian life sciences sector. Health Canada estimates that these changes will generate savings of CA$12.6 billion over the next ten years through reduced prices for patented medicines. While the new regulations may ensure Canada doesn’t pay “excessive prices,” there is reason to worry that they may also reduce the availability of new therapies for Canadian patients. If biopharmaceutical innovators believe that the new regulatory framework prevents them from profitably marketing their drugs in Canada, they may elect not to launch new products in Canada. Instead of improving access, the new regulations may essentially become a further barrier to access to new medicines. Profit both incentivizes innovation and helps fund research and development. Higher prices induce greater profit which allows for more investment, increased research and development, and more innovation and drug discoveries. Health Canada estimates that the innovative biopharmaceutical sector will lose CA$8.6 billion in revenues over the next ten years. The proposed changes will reduce the financial capacity of patentees to invest in the Canadian life sciences sector. In sum, while the 1987 amendments that created the PMPRB reflected a thoughtful balance across several policy objectives, protecting consumers from excessive patented medicines prices, while ensuring sufficient incentives for patentees to introduce new medicines to Canada, the proposed changes are limited to solely lowering patented drug prices. As a result, the aforementioned policy balance is put at risk. The proposed changes clearly disincentivize innovative drug launches in Canada, potentially de-prioritizing Canada in the global launch sequences for new drugs. Moreover, the increasing reporting requirements represent an unnecessary regulatory burden and would increase the time to achieve public reimbursement. Such significant changes should not go without thoughtful examination, though in this case that appears lacking. Quite simply, rather than bolstering the Canadian health care system, the proposed changes only serve to undermine it.